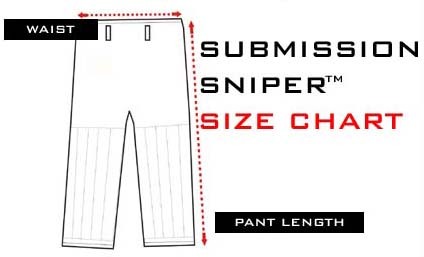 The new Armour-Lite 2017 GI from Submission Sniper Co. weighing in at around 1.5 KGs for size A2. Comes with a new generation 4 'Braulio' pro cut, new fabrics and styling. Unlike many GIs that use cheaper cotton twill the new Armour Lite uses all new Pearl weave and ripstop fabrics for jacket and pants. In fact its a higher specification than many GIs in the very high price bracket. Comes with seam and lower jacket tape and ripstop quad stitching cuffs making it far harder wearing. Suitable for black belts and white belts looking for a lightweight, tough build GI suitable for training and competition. Sizing - if you are between sizes or not sure which to chose i.e. A2 and A3, we always recommend choosing the LARGER SIZE. Pant Lengths Outside Leg Approx. Outside Leg Approx. measure your current pants as a guide!